250 ml PET bottle Water-free, alcohol-free lotion, suitable for all skin types. Eliminates any makeup remnants and surface impurities. It gives the epidermis the first hydration and predisposes an ideal receptive environment for subsequent treatments. 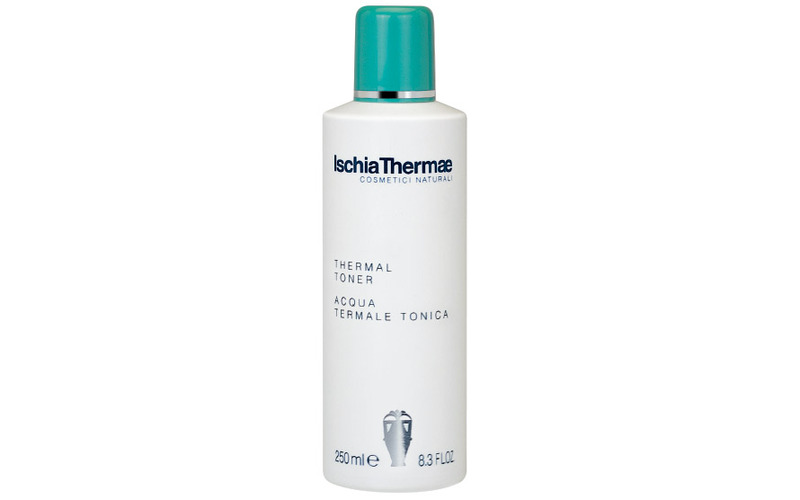 Tonic Thermal Water plays an extremely toning action, effectively attenuates irritation caused by environmental factors and gives the skin freshness, brightness and a pleasant feeling of well-being. Morning and evening, after detergent, moisten a cotton ball with Tonic Thermal Water and pass it on face, neck and neck. The use of Tonic Water is also recommended before applying any mask. Continue with the usual Ischia Thermae treatment.